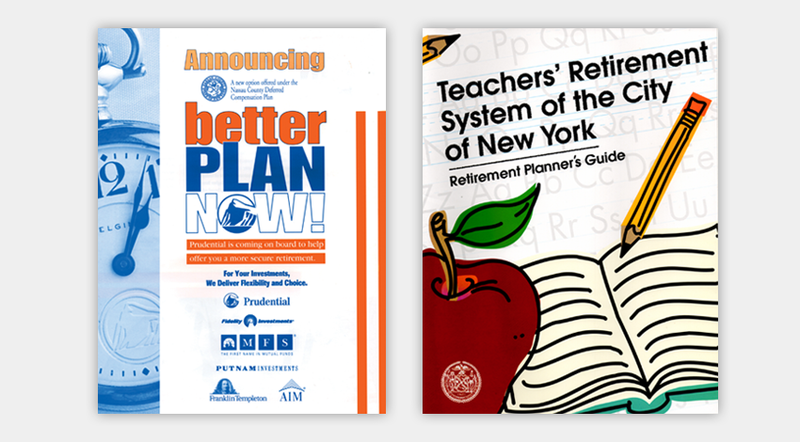 When Prudential Defined Contribution Services contracted to provide retirement planning services to the employees of United Airlines, New York State's Nassau County and The Teachers' Retirement System of the City of New York, they also agreed to handle employee education and conversion. To sign up as many people as possible, the team at Prudential asked us to create a series of attention-getting, multi-tiered, insurance marketing campaigns to educate prospects on the benefits of retirement planning with "The Rock". 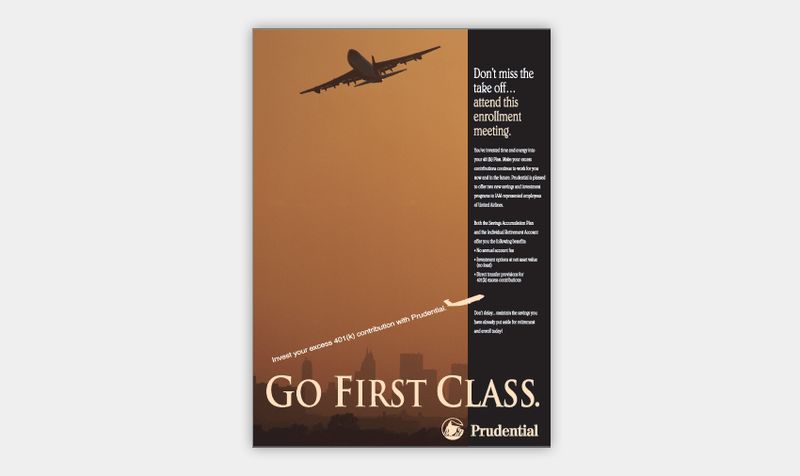 Promotional elements included payroll stuffers, information kits, brochures, poster designs and direct mail.